Have you been arrested for a DUI in the Northwest Suburbs of Chicago recently? With the winter months dropping tons of snow on Chicago and the Northwest Suburbs such as Arlington Heights, Schaumburg and Barrington, the police have been out in force looking for those who commit minor traffic violations to make a stop on the vehicle. If the officer smells even a hint of alcohol on the driver's breath, he will ask for the drive to perform field sobriety tests. This is typically when it is game over for the driver - almost everyone who gets taken out of their car for a DUI investigation winds up being charged with a DUI. 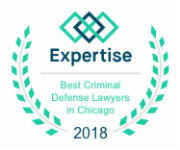 In the Northwest Suburbs, John W Callahan, Ltd has the experience to defend DUI cases that are sent to the Rolling Meadows Courthouse and Skokie Courthouse. 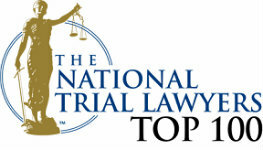 We have the familiarity with the prosecutors and the courthouse procedures to give you the best DUI defense. It starts by filing a petition to rescind the statutory summary suspension. This helps to protect your ability to drive before the Secretary of State will try to suspend your license 46 days after the arrest. Next, we subpoena all police reports and dispatch recordings on your case - this can sometimes help because the police officer might have indicated that you were under the influence of alcohol before he even gave you the field tests - thus showing he was biased against you. If you need help with a DUI charge and are looking for and aggressive, experienced team of DUI lawyers to help protect your rights and liberty, feel free to call the law offices of John W Callahan, Ltd., if you have any questions at all.